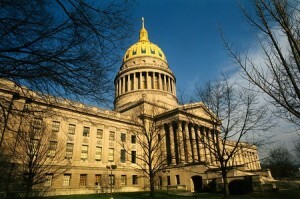 Charleston, WV – WV Citizen Action Group released its 2015-16 legislative scorecard – “Heroes and Zeros” – today rating the 82nd West Virginia Legislature for their votes on a variety of public policy issues. In this scorecard, senators were scored on 24 votes and delegates were scored on 29 over the course of two legislative sessions. Each lawmaker was given a score based on the number of times they voted correctly on a bill or issue. Three lawmakers scored at both ends of the spectrum from zero to 100 percent. Those scoring zero were: Senate President Bill Cole, Senator Craig Blair, and Senator Daniel Hall. The Heroes scoring 100% are: Delegates Barbara Fleischauer, Mike Pushkin, and Nancy Guthrie. The votes included in the scorecard were on a wide range of issues taken up during those two years including labor, legal, environmental, and social justice issues, such as Right-to-Work, nuisance liability, water protection rollbacks, voter ID, women’s reproductive rights, and Religious Freedom Restoration Act (RFRA). “Progressives must keep lawmakers accountable for the policy shift that occurred during the 82nd West Virginia Legislature. West Virginia voters will have to decide if their representatives deserve support or if new faces are needed,” commented Gary Zuckett, Executive Director. “WV Citizen Action Group will continue to monitor and report on both the positive and regressive policies emerging from the upcoming legislative sessions,” Zuckett added. See the full report and scorecard here.